We often encounter sales reps and business development reps who have reached out to us and ask “When should we follow up?” and “What do we say when we follow up?”. Just like in the job market, there’s a push-pull tension between wanting to reach out soon enough to maintain top of mind presence, yet not so soon that you become a nuisance and alienate people. Here’s the rough part: There’s no hard and fast rules of follow-up. Here’s the best part: There’s no hard and fast rules of follow-up. That’s right – following up’s best practices are located in Paradox City. But that doesn’t mean there’s no general guidelines to follow. There are. But they’re just that – guidelines. The truth is, every selling situation is different, and you’ll need to tailor your follow-up to every unique scenario. Here’s how you do it. Ask the prospect how they prefer to be contacted. While the general advice is to follow up through multiple channels, everyone has their own preferred method of communication – whether it’s phone, email, or text. Rather than try to guess, ask them which they prefer. Then enter that information in your CRM or other client tracking database. Even if you still proceed with an omnichannel approach, you can sculpt it so that you’re reaching them via their ideal medium. Note: If they say email, ask them how you can make your email stand out and ensure they’ll read it. This might sound weird, but a good number of prospects will tell you – whether it’s something in the subject line or including a video or link to relevant content. Then craft your follow-up emails accordingly. Outline and confirm next steps. The most common unforced error sales reps make regarding following up actually occurs even before the follow-up. Namely, they fail to lock down a definitive date and time for the next steps (and in some cases, they don’t even provide the prospect with next steps, which is an even more fundamental issue). You: Okay, great. So now that we’ve had this initial conversation and agree there’s a possibility our solution works for your situation, what I’d like to do next is to set up a time to explore your needs more closely. Then we can identify which of our services could potentially be the best fit for you. Does that sound good to you? Customer: Yes, that sounds fine. You: Okay. Looking at my calendar, I can schedule a follow-up call on Monday, 9:30 am Pacific Time. I also have 2:00 pm on Monday available. Which works best for you? Customer: Let’s go for 2:00 pm. I tend to be really busy in the mornings. You: Sounds good. All right, I’ve written in our follow-up call for 2:00 pm on Monday. I’ll also be sending you an email summarizing our conversation today and including the follow-up call appointment time. Customer: Thank you. I’ll speak with you on Monday then. Did you notice something else in this example? The customer said they’re usually really busy in the mornings. That’s something to write down in your notes for the customer. Then, for future interactions, you’ll try to schedule contact in the afternoons, when they have fewer distractions. This is a good sales skill to develop in general, but summarizing will particularly be important in following up. Like in the example dialogue above, being able to succinctly present the highlights in emails and verbally in phone conversations will help keep your customer engaged and their memory of you strong. Nobody wants to read long emails or listen to lengthy spiels on the phone. Keep it concise and save the expansion for when more detail is needed. An additional tip: When summarizing, use the exact language your customer is using – for example, when they say, “I have concerns about the time to delivery”, in your summary, say, “You have concerns about the time to delivery” and not something like “You have worries about how long it takes to receive it”. It seems nitpicking, but it’s not. Using the same language prevents confusion, and more importantly, demonstrates to the customer that you’re actively listening to what they’re saying. Instead, provide some sort of purpose, or, better yet, value. Whether that’s providing collateral or linking to a relevant article in the customer’s industry, you want to have a legitimate reason for contacting a prospect. They know and you know you still want the sale, so there’s no need to make pointless contact. As for exactly when to follow up, unfortunately, we have to refer you back to the beginning of the post. There’s no hard and fast rules. Over time, however, you’ll get a sense of how the sales cadence works with your industry and target prospects. It’s a case of trial and error. And when in doubt, ask the buyer what they prefer. 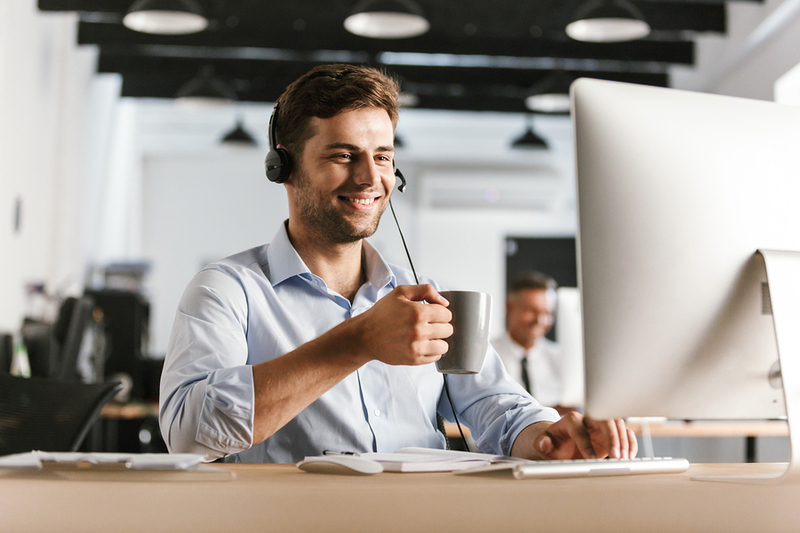 Otherwise, adhering to these guidelines will help you become much better at successfully following up and by extension, improve your prospecting efforts. Which, of course, brightens things for the rest of the sales funnel.